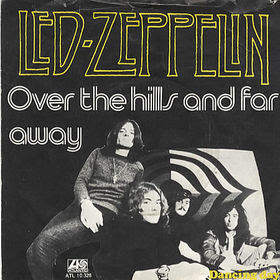 Over the Hills and Far Away, written by Jimmy Page and Robert Plant, is the third track from Led Zeppelin's 1973 album Houses of the Holy. The song was released as Houses of the Holy's first US single, reaching #51 on the Billboard Hot 100 chart, later becoming a staple of the classic rock radio format. The song was first called Many, Many Times! Page plays a six-string acoustic guitar introduction and repeats the theme with a 12-string acoustic guitar in unison. The result is pure awesomeness! Led Zeppelin is one of my favorite groups and Over the Hills and Far Away is one of my favorite of their songs, along with it's "B-side from the single" Dancing Days. Houses of the Holy has to be in my top five favorite albums of all time. Not a bad song on the whole album. Houses of the Holy is my favorite of all the Led Zeppelin albums, although I love them all. Listening to this song takes me back to a summer back in the 70's, possibly the last vacation we enjoyed as a family, including the extended family of aunt, uncle and cousins. The scene was Treasure Island, Florida, one of my favorite beaches, where were stayed at The Bilmar as we did so many times before. It was the last vacation before my Nana died . . . I remember she was still feeling good even though she was battling her second bout with cancer and that alone made it a very special time. I think it was an unspoken understanding for all of us that our time with that precious lady was nearing its end. I was the oldest of all the kids and they loved piling into my car and listening to music. During the vacation, I would try to run off by myself to have a cigarette every chance I got since no one knew that I was smoking. My brother and cousins pitched a fit until I allowed them to ride with me. It broke my heart to tell them no again, so they were sworn to secrecy! Anyway, at the time, Houses of the Holy was my favorite album and I played it every time I was in the car. The kids would ask me to drive around longer so they could listen to the music. My cousin tells me that when he hears any of the songs from this album on the classic rock radio station, it also takes him back to that awesome time. Little did we know at that time it was the end of an era for all of us. I treasure the memories of that vacation and remember little details like it was yesterday. 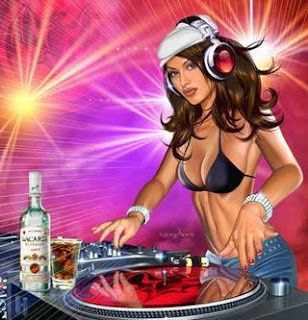 Music does that for me. May Be, more than enough. many many men can't see MY open road. 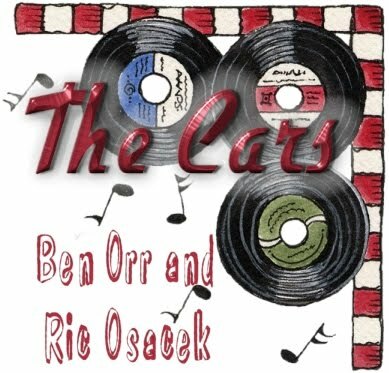 Benjamin Orr first met Ric Ocasek about 1968 or 1969. Benjamin and Ocasek formed a musical partnership in 1970 that would continue in various incarnations until the break-up of the Cars in 1988. After moving to Boston, the two formed a folk band called Milkwood with guitarist James Goodkind. In 1973, the group released one album, How's the Weather?, which failed to chart. Remaining in Boston, Ocasek and Orr then formed another band, Richard and the Rabbits, featuring keyboardist Greg Hawkes, followed by another band, Cap'n Swing, which included guitarist Elliot Easton. After the group broke up in 1976, the three of them along with Hawkes and drummer David Robinson formed the Cars. As a member of the Cars, Benjamin sang lead vocal on some of the band's best known songs, including their first top 40 hit "Just What I Needed", "Let's Go," and "Drive", their highest-charting U.S. single. Benjamin's favorite song from the Cars: "Drive"
In April 2000, Benjamin was diagnosed with pancreatic cancer . . . he died at home in Atlanta on October 4, 2000. Their friendship was commemorated in a song Ocasek wrote as a dedication to Orr upon his death . . . “Silver”, from Ocasek's 2005 solo album, Nexterday. The Cars reunited ten years after Benjamin's death, and released their seventh studio album Move Like This in May 2011. Orr was given special thanks in the liner notes: "Ben, your spirit was with us on this one." Fans of Benjamin will love this website . 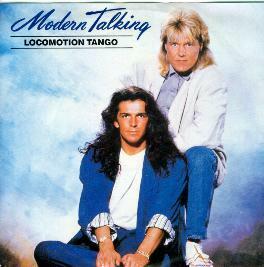 . .
Locomotion Tango is a song by Modern Talking, written and produced by Dieter Bohlen from their sixth album, In the Garden of Venus . . . the last album before the first official separation of the German act. The song was released as a single in 1988 . . . in Denmark only. I wonder why this awesome song was not released as a single in other countries. It is surprising to me that they are virtually unknown in the United States! Modern Talking has been referred to as Germany's most successful pop duo consisting of Thomas Anders and Dieter Bohlen, whose music has often been classified as Europop. Locomotion Tango is one of those happy, mood elevating songs that I often listen to when I want to get some stuff done around the house! Great exercise music too! Although there are many remixes of this song available, the extended dance mix I have featured is my favorite . . . along with the original. Although I have been very frustrated by all the changes and dissolution of many music services, I have decided to resume writing about the songs and the artists who made them a part of our lives. So . . . 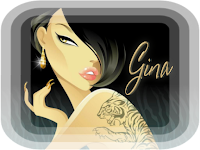 I am once again fixing music and videos on old posts while writing new posts in between. It will take some time to get it done, but I worked too hard on my posts to begin with to let them stay useless without the music. I'm sharing the stories and my love for music . . . not offering music and videos for download . . . rather, to promote the awesome artists whose life's goal is to bring us the music. 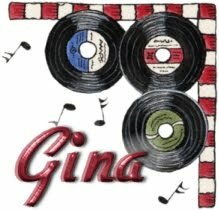 Of course they are in the business to make a living, so I will hopefully introduce you to some new music or old music you forgot about that will prompt you to buy the CDs or go to a concert or two.